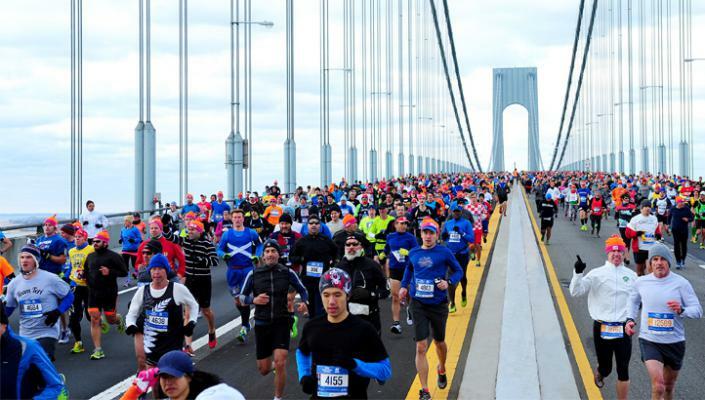 In 2015 I experienced my first marathon in New York City. I managed to achieve my goal...that was to survive to the finish line at 42.2km. It was a surreal experience running through the 5 boroughs of NYC. The energy from the crowd, the comradery running along side runners from 90 different countries and the finish line in Central Park was incredible. But after the race I was really sore. Those post-race subways stairs were an absolute killer...for days afterwards. I vowed that marathons weren't made for me. Although I did want to do another one...someday. If I was to do it again, I wanted to run it properly in a somewhat respectable time. So when an opportunity presented itself to head back to New York to run the marathon in 2017, I wasn't quite sure what to do. 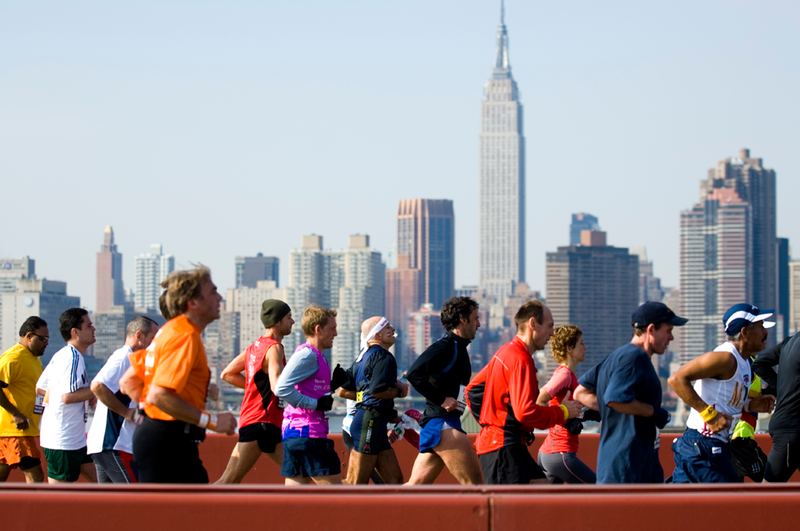 Running a marathon could be seen as overly taxing on your body. That is definitely true if you are under prepared. In 2015, I was coming off a really low base and that limited my enjoyment of the marathon, having to walk a lot of the second half due to cramps and muscle/joint overload. So this year I've had the chance to build a more substantial base and take the slow and steady route to the the peak. I was reading an article that listed several psychological strategies to help overcome then mental barriers during the marathon. One of the them was 'find your why' and repeat it to yourself when the going gets tough. 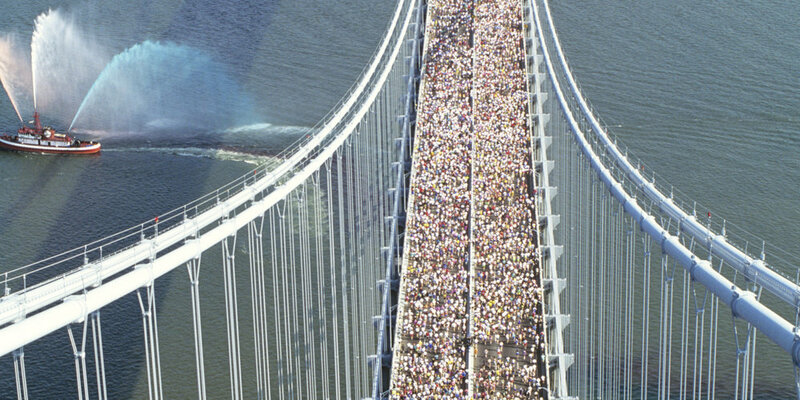 So I sat down and compiled a list of the top 7 reasons why I wanted to run the NYC marathon again. To show her that you can do anything if you put your mind to it and don't let any limitations get in your way. To demonstrate that you can do anything, including running a marathon despite being diagnosed with things like torn meniscus, FAI hips, labral tears, lumbar disc bulge/tear, plantar fasciitis e.t.c. I am the proof that this is true! With a good physical foundation and plenty of quality recovery, you can do anything you set your mind to. Of course, you will get knocked down - spiritually, physically and emotionally at times throughout your life. Whatever issues you face, there are people out there ready to help guide you towards your goal. Keep going and most importantly, use the pain as fuel on the fire of self-transformation. Running helps keep me in touch with what's going on in my body. Long runs become a form of mindfulness meditation and a great chance for reflection. Being aware of what comes up. Then either accept it or learn to problem solve it. Running has a way of placing a spotlight on your weaknesses. If you want to test your physical foundation, go for a 20km run and see what sort of pain you feel. That is a good indication of what might be happening in your body and where you can improve on. Using a 'Growth Mindset', you take your weaknesses, failures and frustrations and turn them into strengths. As long as you're patient and not in a hurry, you can use this to your advantage. For me personally, running a marathon is a really difficult mountain to climb. I'm by no means a 'natural' runner. It is a skill that has taken many years to optimise (with plenty of room for improvement). I think from an evolutionary perspective, running is the end product of many small movement foundation steps. It's almost like a computer game, you have to 'complete' each level before moving onto the next. Running the marathon successfully provides a positive confirmation that you've achieved an adequate base of function e.g. core stability, leg strength, flexibility, endurance, breathing and recovery. Proactively creating a stronger and more resilient body as it adapts to appropriately applied stress is deeply satisfying. I have a form inflammatory arthritis that primarily affects my hips and lower back. As my body reacts adversely to any non-steroidal anti-inflammatory drugs, the main form of treatment is exercise and movement. If I'm not moving at least one hour per day, I tend to get very stiff, sore and fatigued. Signing up for the marathon has made me really accountable on a daily basis. Not just for the movement side of things but also what I eat. As the training runs got longer, my body seemed to respond better to the long runs. Overall, I'd say I'm much healthier now, than before I started the training for the marathon earlier in the year. Pushing your body to the limit on three hour training runs gets you face to face with pain and it's interesting to know how you react to it. Practicing breathing, relaxation and staying calm in times of stress helps build the neural pathways that support your healing and recovery in many other aspects of your life. There is a lot negativity in the world and it's easy to get caught up in it. There's a saying, if you ever doubt the goodness of humanity, go and stand at the finish line of a marathon. There you will see some of the best in human spirit, encouragement and celebration. The connections you make with people through the marathon are inspiring, to say the least. Everyone has a comeback story and it's great to connect with and hear people's journey. It really brings people together in such an empowering way. In my work as a Physio I give out a lot of advice to runners and also teach workshops on how to improve and optimise the running experience. So it's always a good opportunity to put into practice what I teach and make sure it works and in the process, hopefully making me a better Physio and do a better job of helping you with your running. It's been fun to use myself as a guinea pig, studying a lot of research and finding out what works and what doesn't at the coal face. I have learned lots, in theory and practice, and happy report that everything holds up and I can't wait to pass this knowledge on to you. What is your reasons for running a marathon? I'd love to hear in the comments below.